Image Size: 13 X 13.5 in. 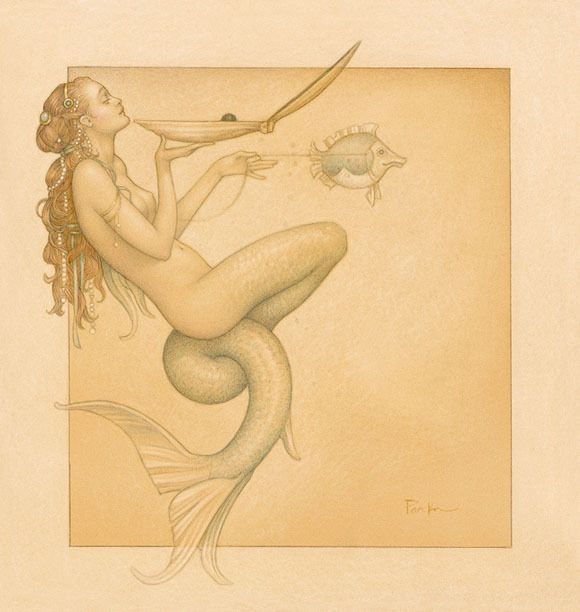 A note from Michael Parkes - She is the keeper of the black pearl. She is the only one who knows its location. Its ancient powers, so great, it could never fall into the wrong hands. Because it is the dark pearl, it could be used by both the forces of good or evil. For that reason she kept the secret hidden. But once in a while she could not resist looking at its beauty and feeling the strange power come over her.